Noted film critic Bill Newcott, creator of AARP’s “Movies for Grownups,” offers his picks for the best upcoming movies. 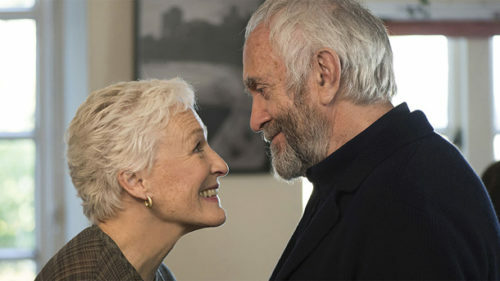 Fans of great screen acting can’t ask for more than Glenn Close and Jonathan Pryce as a long-married literary couple whose lifetime of shared secrets catches up with them on the night the hubby accepts the Nobel Prize for Literature. Based on Meg Wolitzer’s novel, the film explores how even mutually agreed marital ground rules can mess up life’s later chapters. Christian Slater pops up as a biographer who lives to turn over stones in his subjects’ lives. And look for Close’s daughter, Annie Stark, as the younger version of her mom’s character. The life story of Saturday Night Live star Gilda Radner will make you laugh and cry — often at the same time. You’ll laugh because Gilda was one of the funniest people who ever lived, and the film’s generous helping of clips includes the best of her best, from characters like crass Roseanne Roseannadana to Gilda just being herself, charming her audiences into happy submission. You’ll cry because the film follows Gilda into the depths of her battle with cancer, including heart-rending moments in the hospital. Director Lisa Dapolito smartly lets Gilda do all the talking, using rare recordings the comedian made while working on her autobiography. The world could use Gilda now; this movie makes us miss her more than ever. It’s a sign of the times that many of our most captivating films deal with Alzheimer’s, the scourge of a generation. What They Had is among the best of them, exploring not just what it means to care for someone with dementia, but also what it means to keep loving them for who they are. Blythe Danner is masterful as the mom who is slipping away but clings to the remnants of her good humor like a life preserver. As her overwhelmed family, Michael Shannon is the endearingly gruff son, Hillary Swank the daughter who parachutes in when things get tough, and Robert Forster the heartbreakingly devout but ultimately overmatched husband.